I love this show, and I love your blog. I haven’t had the opportunity to visit the Revolutionary War sites, except for Washington’s Home, which doesn’t count. In any case, keep up the good work, regardless of the outcome of renewal. I”m no industry “insider” about how long renewal decisions take. But I’m a Sleepy Hollow fan. Fox renewed it about the time the 3rd episode aired. Of course, it got good ratings–because it’s a well-written show with excellent characters. Sleepy Hollow’s a batshit fantasy, with only the loosest connection to Washington Irving’s story. But its pseudo-historical background inspired me to begin reading about Colonial/Revolutionary America. I learned enough to make me cast a cold eye on TURN’s history; in fact, enough for me to catch some errors in Rose’s overrated book. And Sleepy Hollow’s producers never piously announced they were producing Real History. But they have the conviction to tell the story they want to tell–not shilly-shally around….. 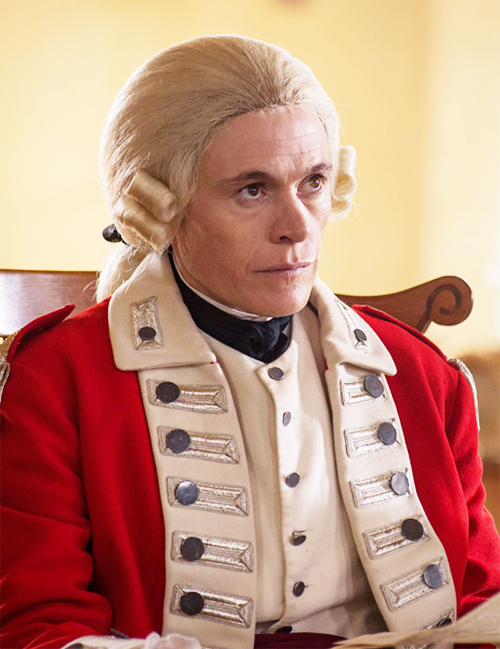 If AMC is deciding whether to renew TURN or Hold & Catch Fire, I hope they go with TURN. It gets a few things right & the latter show is just a boring mess.